What Are the Temperatures Where the Gray Wolf Lives? As the largest wild canid in North America, the gray wolf was the apex predator for its natural and original range. The gray wolf can range from 60 to 175 pounds and reach a length of 6 feet from muzzle to tail. Because their natural range consisted of most of the Northern Hemisphere, gray wolves are highly adaptable and live in a wide range of habitats. During no other season can the wolf show off its master hunting skills and evolution than during winter. Although food may be more scarce than in other seasons and the weather more demanding, the gray wolf seems built for the snow and cold. The gray wolf has larger paws -- a 60-pound gray wolf has the same size paw as a 100-pound domestic dog -- that act as snowshoes during the winter. These paws allow them an advantage over their prey, many of which are heavy-bodied and hoofed. Temperatures for their current range in the winter may be subzero even during the day. Yellowstone National Park, where wolves were reintroduced and are on the verge of thriving, averages winter highs of zero to 20-degrees Fahrenheit and averages 150 inches of snowfall per season. For most of the gray wolves' range in the United States, summer temperatures range from temperatures in the 70s to 80s. This is not the case for Alaska, and also not the case for New Mexico and Arizona's population of Mexican wolves. These warmer temperatures bring more prey for the gray wolves and other predators; their typical prey have young at this time, which are easier to hunt and kill. 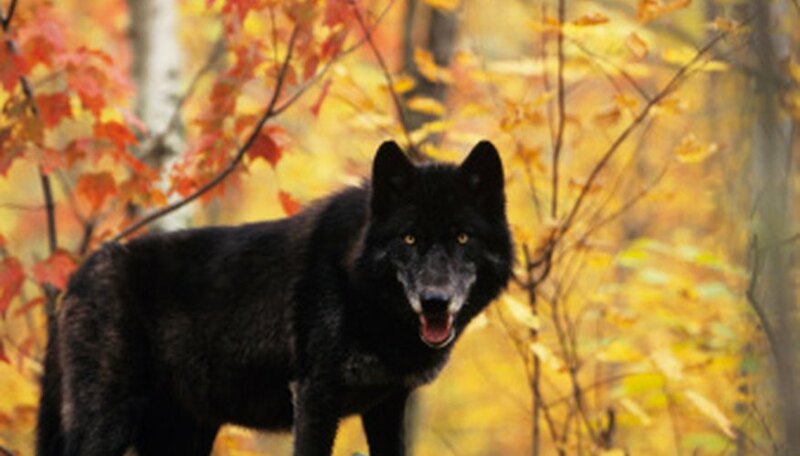 Spring and fall both offer different benefits and challenges to the gray wolf. Spring and fall temperatures range from mild to severe, 30 to 60 degrees Fahrenheit is common. 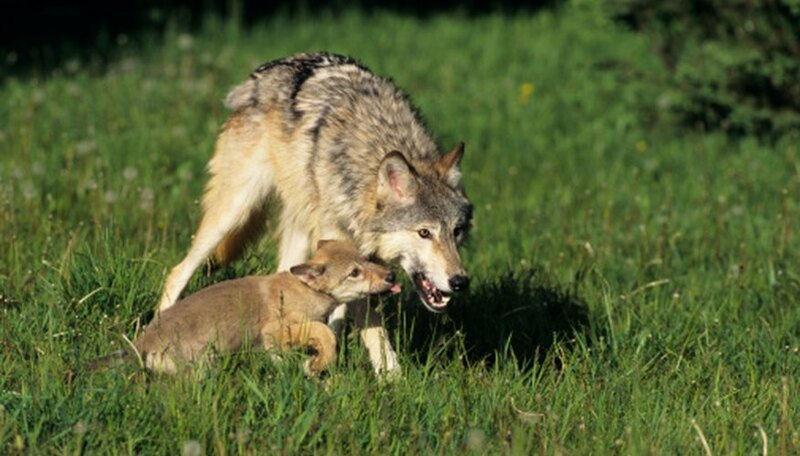 During the spring, the gray wolf's prey is becoming more active, creating a better chance of a meal for the pack. Breeding occurs during spring, anywhere from January to April depending on how far north the wolves are. Pups are born around 60 days after mating, and their mother stays with them for three weeks while the rest of the pack hunts. During the fall, the wolves' prey begins fattening up for the long winter throughout most of the range. The wolf may follow suit; although they are adapted for snow, winters can be hard for them as well. 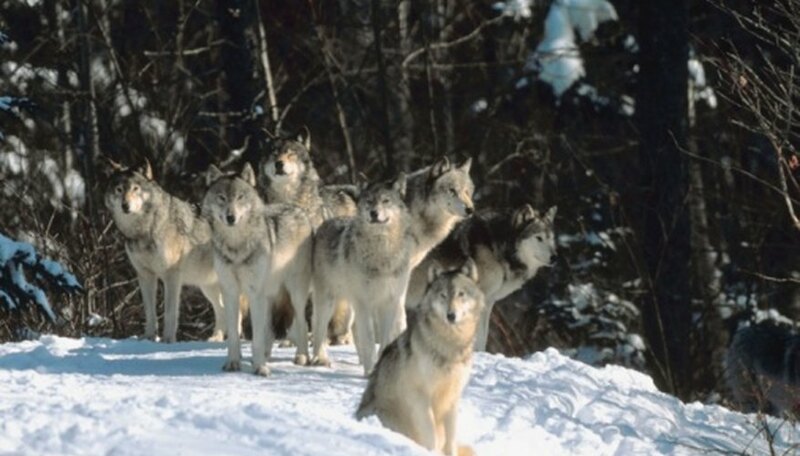 The weather affects the gray wolves' many habitats greatly from season to season. The wolves who inhabit the arctic tundra may experience harsher winters than the wolves who live in sheltered forests; those that live in more arid landscapes may experience different prey patterns than those that live in the prairie. 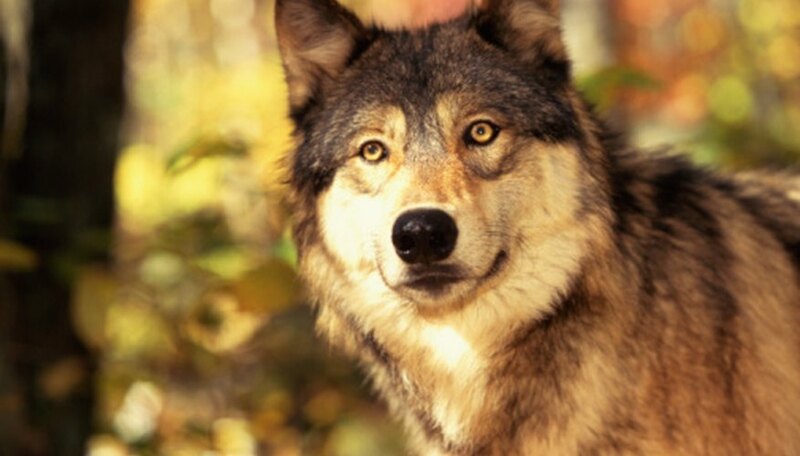 Across the world, these wolves inhabit every type of habitat besides tropical rainforest, giving them one of the vastest temperature ranges besides that of man. Kelly, Jasey. "What Are the Temperatures Where the Gray Wolf Lives?" 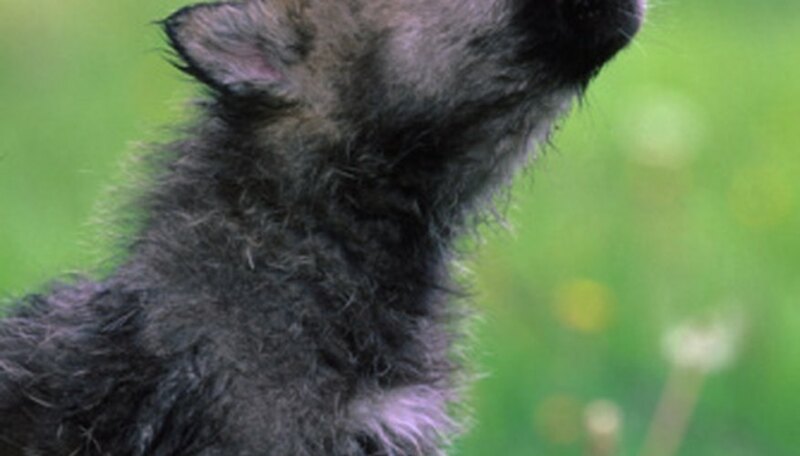 Sciencing, https://sciencing.com/temperatures-gray-wolf-lives-8442843.html. 25 April 2017.